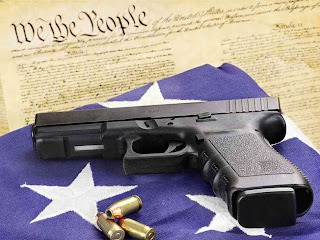 In order to pass the New York SAFE Act, which substantially erodes a citizens Constitutionally granted Second Amendment right to bear arms, Governor Cuomo had to circumvent his own state Constitution. That document has an amendment requiring a three-day public review of all laws. By issuing a “Message of Necessity”, Cuomo was able to pass the law without public scrutiny, with the Senate actually voting on the bill a mere 30 minutes after receiving it. Now Cuomo is admitting that allowing a three-day public review would have killed the momentum behind his gun control bill. “Nothing like that will ever happen without a message of necessity,” he said. It’s not a revelation that Cumo is a results-over-process guy. But he seems clearly ruffled by criticisms that he’s heavy-handed, like the Times Union’s editorial knocking his use of a message of necessity, to have the bill immediately enacted. Cuomo began by noting the gun bill was a special circumstance, because now-banned assault weapons would fly off the shelves in any waiting period. Then he began to share blame with legislative leaders who, he said, could have taken his message and still waited to act. Indeed, Moscow would have been proud. Perhaps more importantly, bypassing the three day waiting period allowed the bill to be passed without a now publicized Democrat wish list of gun control measures to ever be discussed; a wish list that includes confiscation of guns and ammo, and practically eliminates all semi-automatic weapons on top of so-called “assault weapons”. Moscow would be proud of Governor Cuomo, indeed. Next post Journalists Instructed to Report on Benefits of Obamacare: "There's Only Upside"